When it comes to retirement accounts, it may feel like you have more questions than answers, even if you have had your retirement account for a long period of time. Assets that are held in qualified plans and IRAs have no current income tax liability, but the distribution of assets in those plans to participate or participant beneficiaries in future tax years can generate income tax liability at typical income tax rates. There are tax penalties if you attempt to request a distribution from an account before you have actually retired. The IRS actually imposes a tax penalty for funds that are withdrawn too soon and those that were not drawn out soon enough. For example, if you attempt to tap assets before reaching age 59 1/2, you’ll be responsible for paying both the ordinary income tax on the amount as well as a 10% tax penalty on those early distributions (although there are some limited exceptions to this. You may also be responsible for paying state income tax in some locations, too. You should always consult with your tax specialist before making a decision to tap into those assets. As with all accounts, it’s important to know how you plan to use them in your own lifetime but also how future generations or a beneficiary is intended to use those accounts. Regardless of your age, it’s wise to add an account beneficiary. 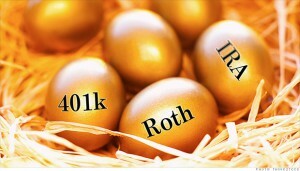 To talk about how to incorporate retirement accounts into your estate plan, give us a call at 732-521-9455.